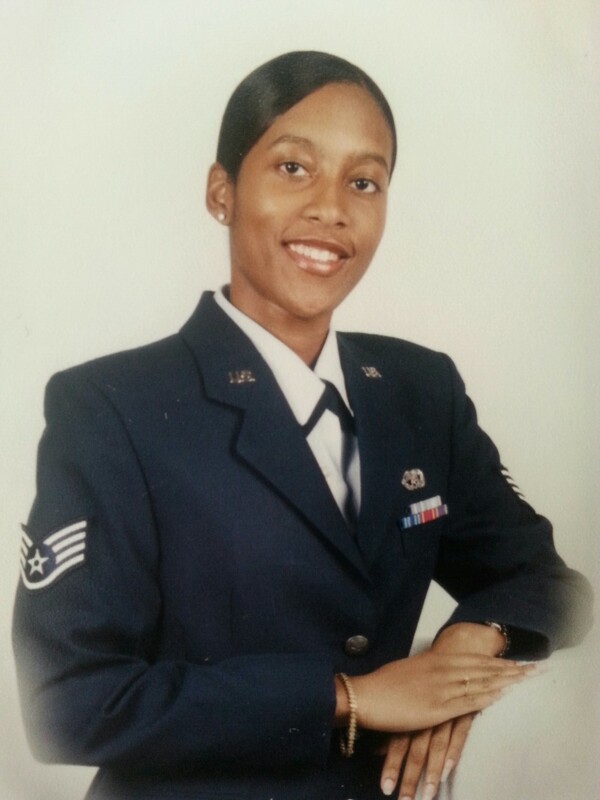 I began my working career as an Airman in the US Air Force. After serving 8 years, I recognized the strength of the core values I gained: Honesty, Integrity, and Service before Self. Those values, coupled with the foundation set during my childhood, created the woman I am today and help to drive every decision I make. In 2003, I separated from the Air Force after determining that one of my goals of becoming an officer could not be realized due to a prerequisite change in the application process. Feeling a bit lost and unclear of the path ahead, I began the search for the next chapter of my career journey. 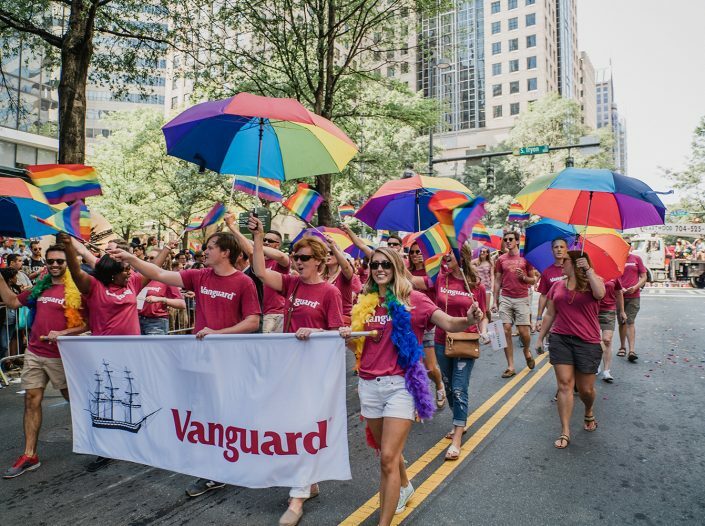 I relocated to Charlotte, NC and was introduced to Vanguard. Shortly after, I was extended the opportunity to join the company–officially transitioning from Airman to crew member. 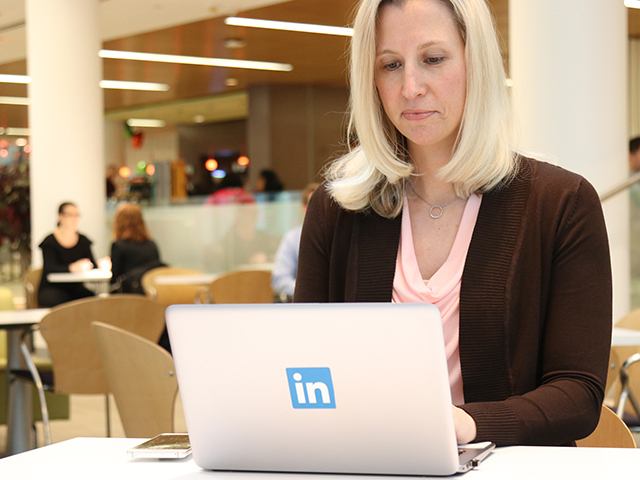 Joining a company with a variety of growth opportunities was an important factor for me. 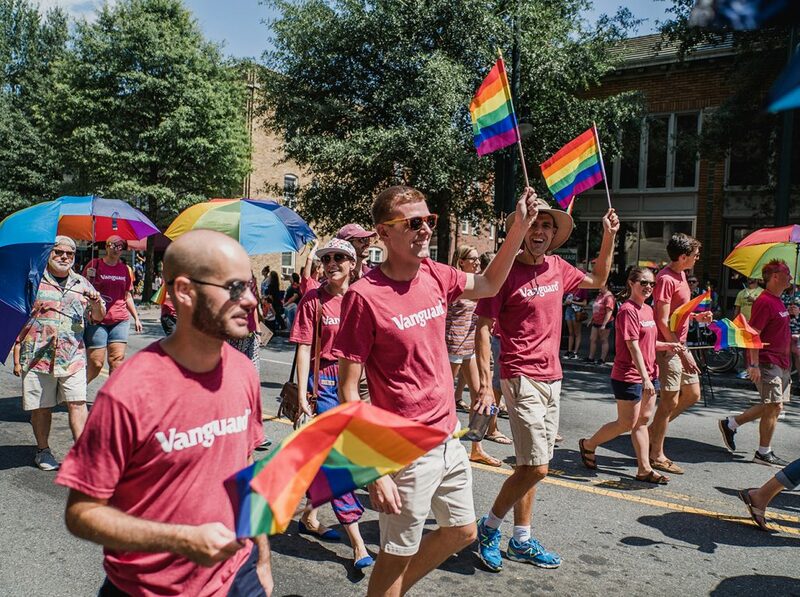 Fortunately at Vanguard, I’ve been afforded the opportunity to grow both personally and professionally in countless ways throughout the duration of my career. Often times it has been through a job assignment which required an expanded set of skills. However, I’ve also grown by being in tune with my abilities and knowing when I needed to enhance a competency. One of those competency’s I knew I wanted to gain more knowledge on—and be more effective at—was communication. I always knew how critical it was to be an effective communicator, but also knew I wanted to become stronger in this area. To that end, last year I signed up for our internal Toastmasters club. While I was reluctant, I knew that only positive results could arise from the experience. Since becoming a member, I’ve become more comfortable with speaking in public settings, more confident in presenting ideas, more assured to share input. For example, I’ve agreed to take on key roles in events such as moderating a Fireside Chat (or Meeting with the North Carolina Leadership team and) with our Chief Human Resources Officer at Vanguard, and on a more personal front I recently served as the master of ceremonies and also a presenter during a women’s conference at church. 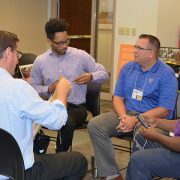 To shift gears to written communication, a few years ago I sought out a class on the topic of business communication. While I walked away with many tips, I regularly leverage a couple best practices for communication via email specifically. Balance when to leverage email vs phone. 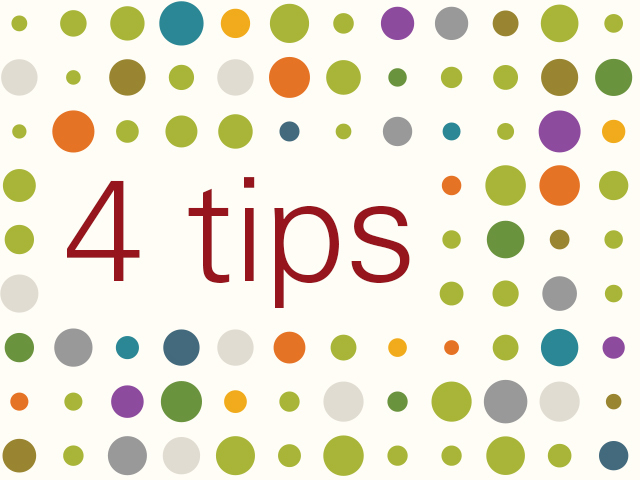 For example: if the email will take more than three exchanges, make a phone call. Keep information succinct to capture the reader’s attention. For example: if the reader has to scroll down the email to obtain all of the written content, chances are: the email is not succinct enough. Make it a goal to ‘eliminate the scroll’. When is the decision needed, the change occurring etc. These steps have helped me to keep messaging as concise as possible while sharing what the audience really needs to know. In closing, I share my complete gratitude to be part of an organization who truly cares about our Clients, our Crew, and our Communities. 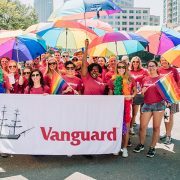 I feel honored that Vanguard cares enough about our crew to support and encourage continued development. I was proud to serve our country and I’m equally proud to serve our shareholders. Kristen talks about her personal and career journey and how she adapts and thrives in transitions. 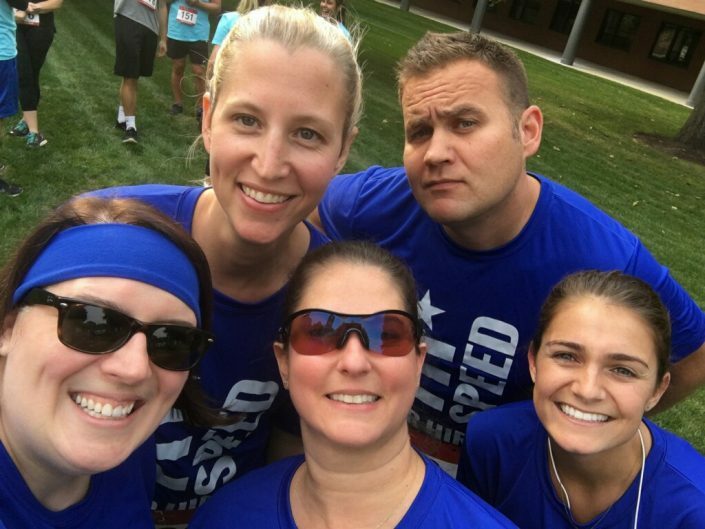 In this series, crew in our Retail Investment Group share their perspectives on career choices, teamwork, and how they contribute to Vanguard’s mission. David graduated from the University of North Carolina at Chapel Hill where he studied management and sociology. He then completed a graduate program in business fundamentals at Wake Forest. 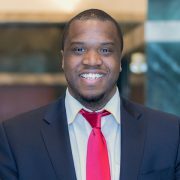 Following his education, David followed his passion to serve others by working for the Hickory Public Housing Authority where he worked with low-income families to empower them towards self-sufficiency. 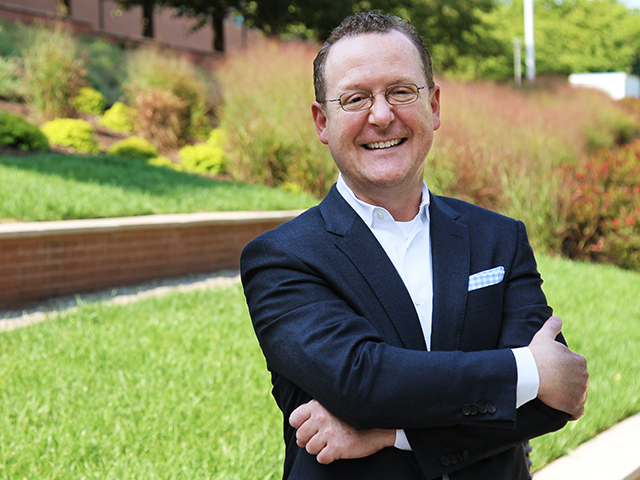 After his time with the Hickory Public Housing Authority, it wasn’t long before David found himself at Vanguard – first taking on a role in Personal Investor as a Client Relationship Specialist, followed by his current role as a Retirement Specialist in the Retirement Center. 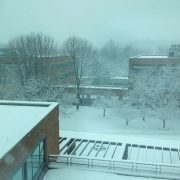 What is it like working in your department? As a Retirement Specialist, I have the opportunity to educate and assist clients with one of the biggest moments in their life – retirement. Due to the complexity of the subject matter, I leverage my technical knowledge and CRM (client relationship management) skills, often taking ownership of unique client situations until resolution. In my role, there are two main areas of work: complex transactions and small business accounts. What are the top skills needed to be successful in your role? Intellectual curiosity, and attention to detail, but first and foremost, you need to have a desire to learn about the complexity of retirement. There are a lot of IRS and tax implications related to complex transactions, so I need to make sure I’m asking clients the right questions to understand their needs, and then adequately explain the options to guide them to an appropriate decision. 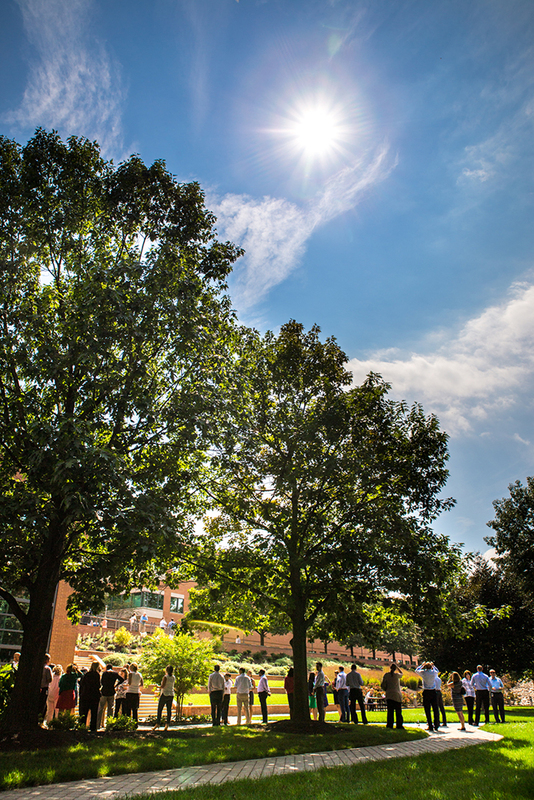 What is one of the greatest lessons you have learned during your time in your department? In addition to the immense retirement knowledge that I have gained, I have learned the importance of approaching a situation in a holistic way, making sure to gain all the details to arrive at the best answer. In my role I’d come across complex client situations and taking the extra time to gather all relevant information before positioning solutions for the client proved to be well worth the time! How does your current role fit into your career goals? 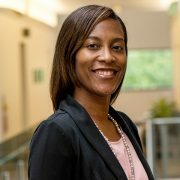 I recently accepted a new role as a Retirement Administrator where I will be responsible for supporting other specialists and service partners with highly technical issues. 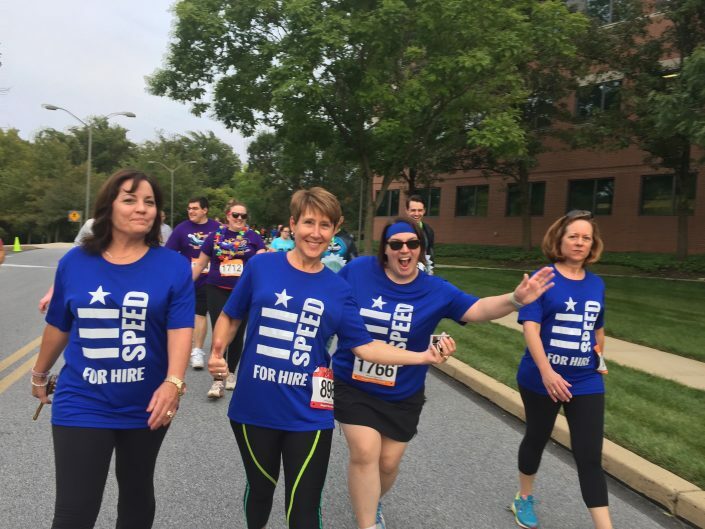 Each stage of my career contributes to the next, and I am confident my experiences as a Retirement Specialist will aid in my success in my new role. How does your role contribute to Vanguard’s mission? Clients want to make sure their assets will sustain them during retirement and the Retirement Center is crucial in helping them reach this goal. As an example, baby boomers who are entering retirement age are leaning on institutions like Vanguard, particularly the Retirement Center, for help in navigating their transition into retirement. The Retirement Center’s mission is Vanguard’s mission. We are taking a stand for all investors by providing excellent service and solutions on complex individual and small business retirement topics, equipping our clients with the tools and information for investment success! 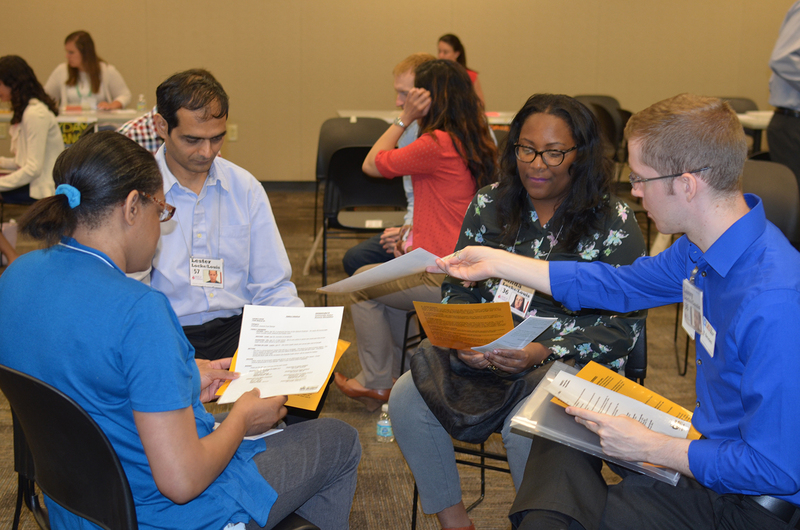 Stay tuned for the next edition of our Client Services career conversations, featuring a new department each time. 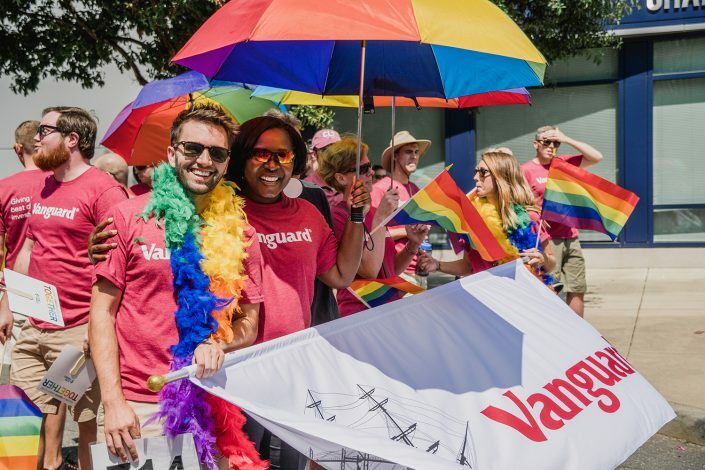 If you’re seeking an environment where you can make a difference and develop professionally, check out our Client Services career opportunities at www.vanguardjobs.com! 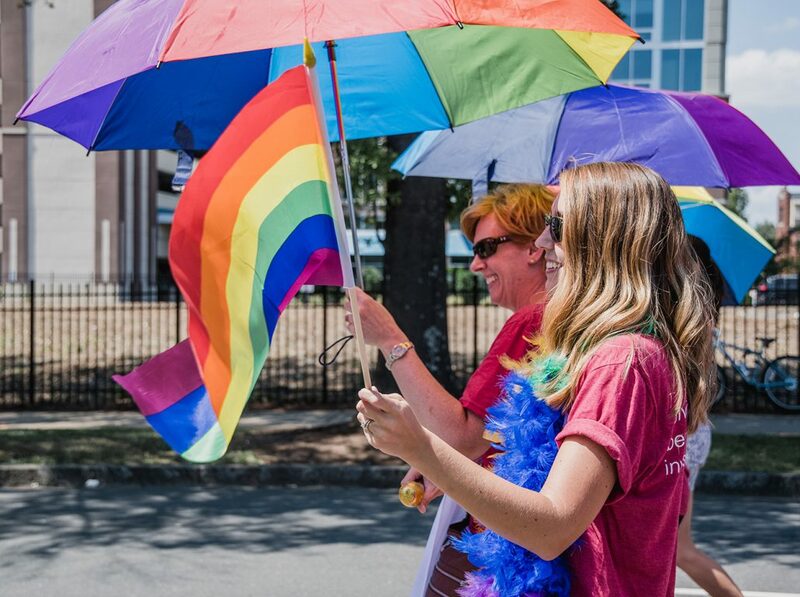 On August 27th the streets of uptown Charlotte were filled with color, excitement and thousands of people celebrating equality at the Charlotte Pride parade. 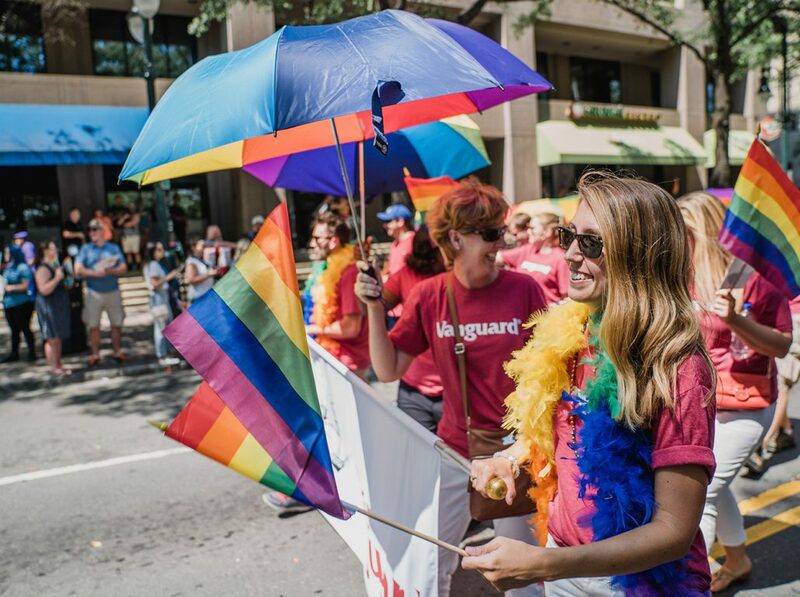 And for the very first time members of one of Vanguard’s Crew Resource Groups “Out Professional Engagement Network” (OPEN) marched alongside their fellow Charlotteans. 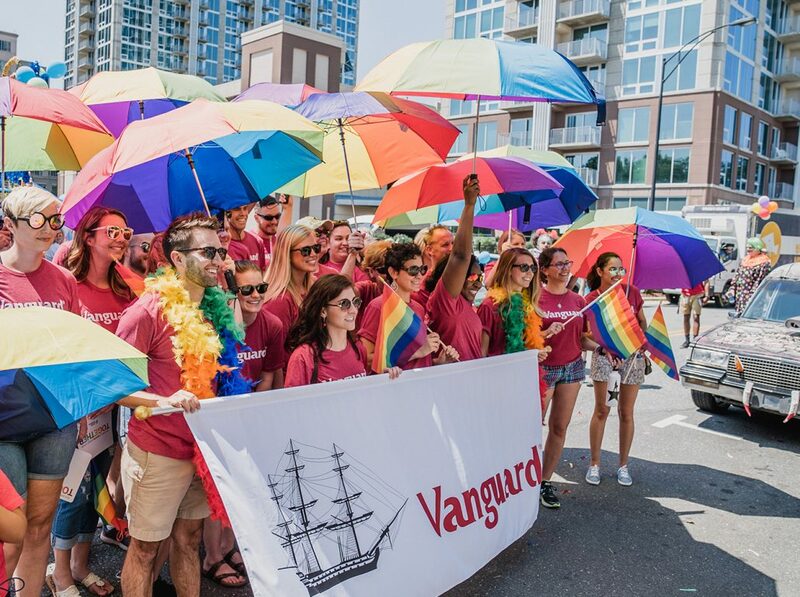 Over 60 Vanguard crew, family and friends decorated in red shirts and carrying rainbow flags and umbrellas paraded through uptown – a big moment for OPEN and for Vanguard. As our group marched we were pleasantly surprised to hear the cheers and Vanguard-isms shouted in our direction. “We Love Vanguard!” and “Take care of my 401K!” just to name a few. 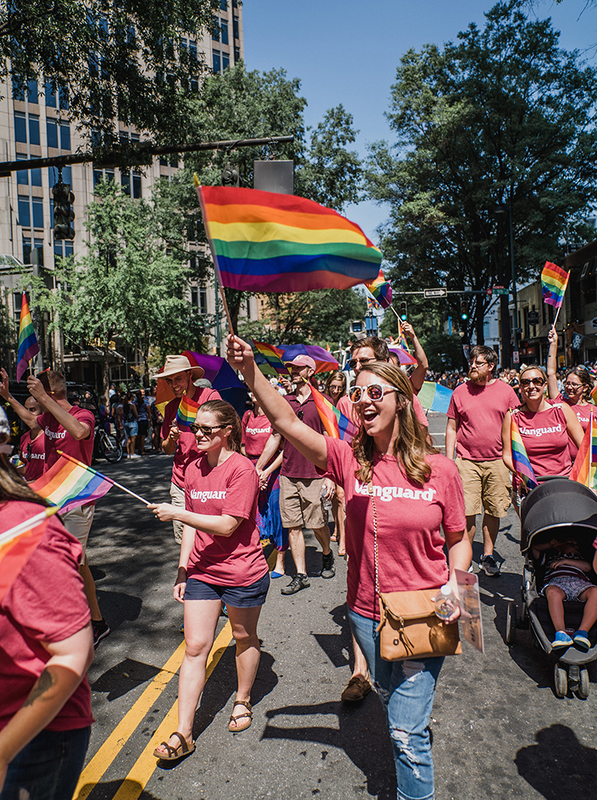 Marching on Sunday gave us all a renewed sense of pride in what it means to be Vanguard crew members and more importantly, what it means to be crew members and community leaders that find value in celebrating diversity in its many forms. 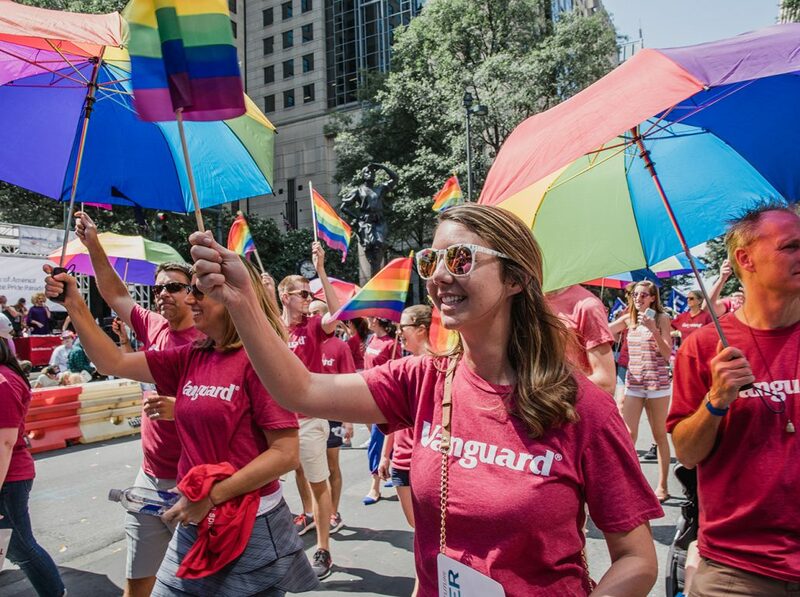 Undoubtedly, our presence in Charlotte’s largest annual parade helped to reinforce the Vanguard brand. For investors and crew alike, our presence demonstrates our commitment as we strive to give our clients and crew the best chance for success. -Brad W. & Lauren W.
After arriving in Charlotte almost five years ago, it didn’t take long to see that the office had something special. Our crew are genuinely friendly, offer diverse perspectives, and foster deep connections. 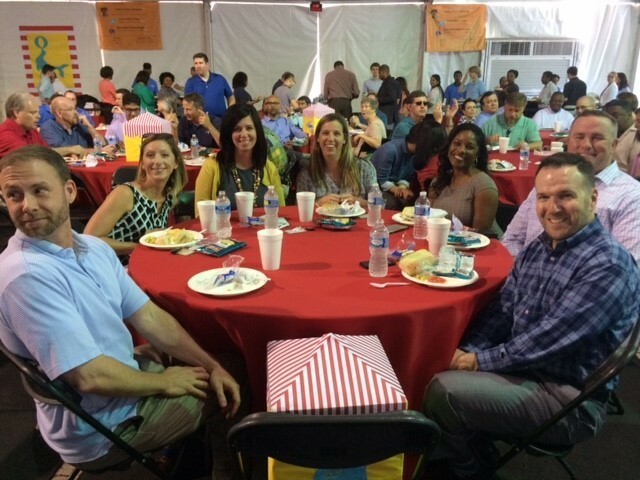 We work hard but also know how to celebrate accomplishments and milestones, both for Vanguard and our clients. Everywhere you look, every day, the crew are investing in our clients, in each other, and in the community. These personal, almost family-like connections have been part of the tapestry of Charlotte since the very beginning and remain true today. 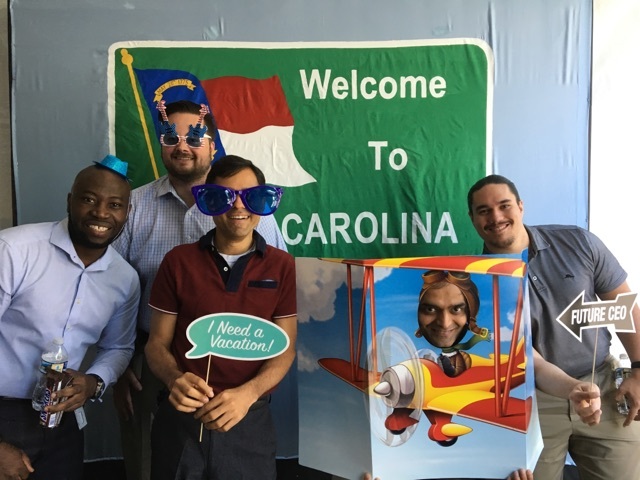 Since I haven’t been at the Charlotte office since the beginning, I decided to catch up with a few colleagues who were directly involved in standing up this Vanguard location. 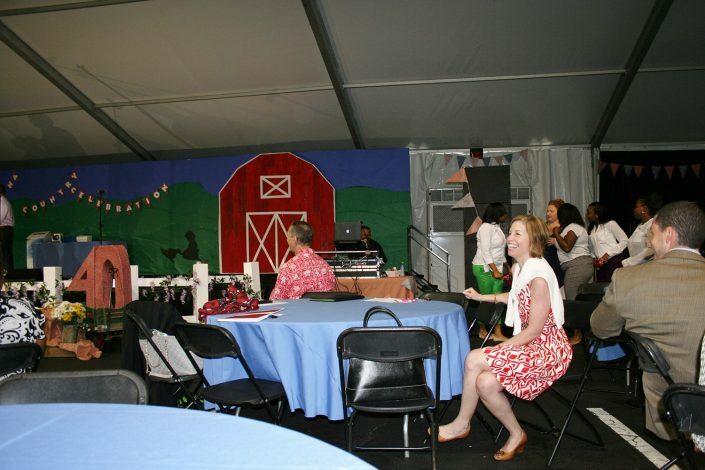 Michelle W. was one of the first HR team members on the ground tasked with getting the site up and running. 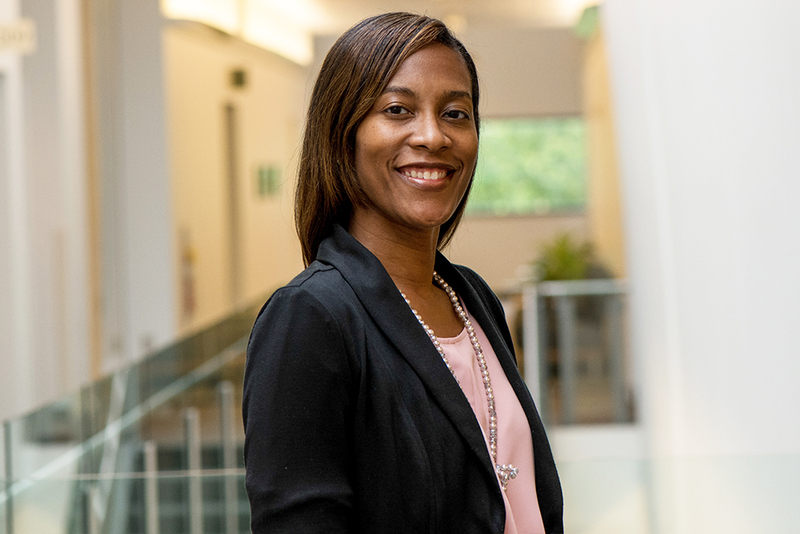 She handled a multitude of responsibilities including facilities, recruiting, crew benefits, and implementing crew services on par with our offerings in Malvern. It was the ultimate definition of the HR Generalist. With the goal of hiring 700 crew members that initial year, Michelle and another HR colleague recruited around the clock from their bank of tables and telephones on an otherwise empty floor in our building. It was an incredible challenge but also rewarding. 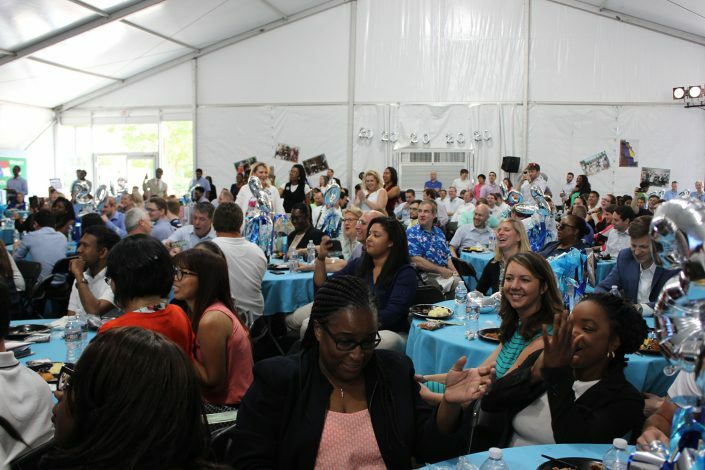 Michelle shared she remembers the personal touch most and that it stays with her even today—being able to greet folks by name, know their families, celebrate successes together, and support each other through disappointments. Chrisa F. also shared her early memories of Vanguard Charlotte with me. 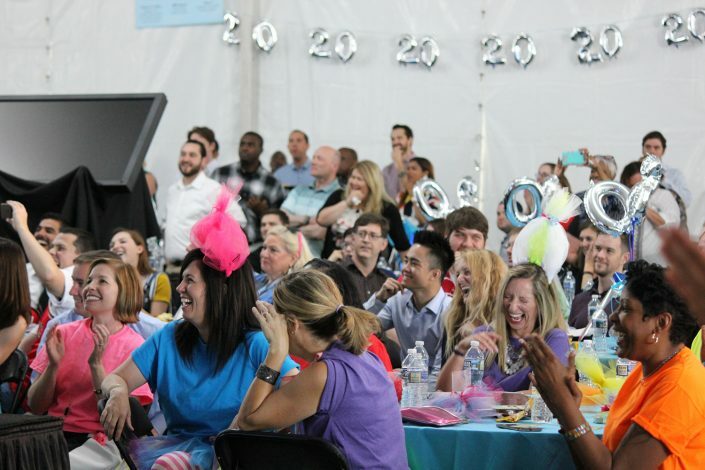 Our Charlotte office was a budding site, full of energy and excitement. Crew were eager to learn new things, and everyone was ready to lend a hand. 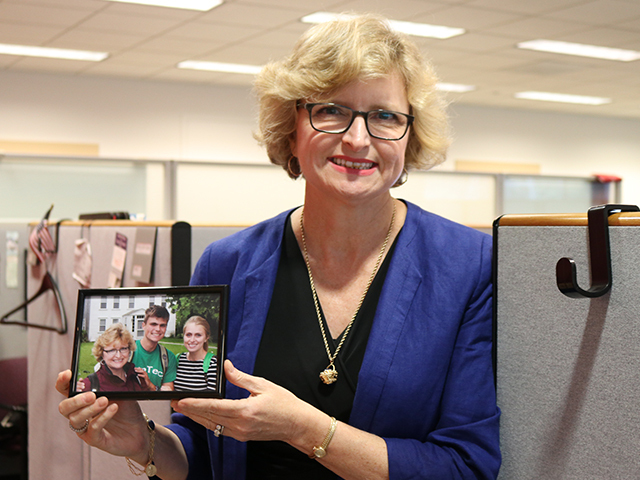 After spending almost four weeks coaching new Retail Services crew, she was so impressed with Charlotte that she decided to permanently relocate in 1998. Fast forward 20 years. 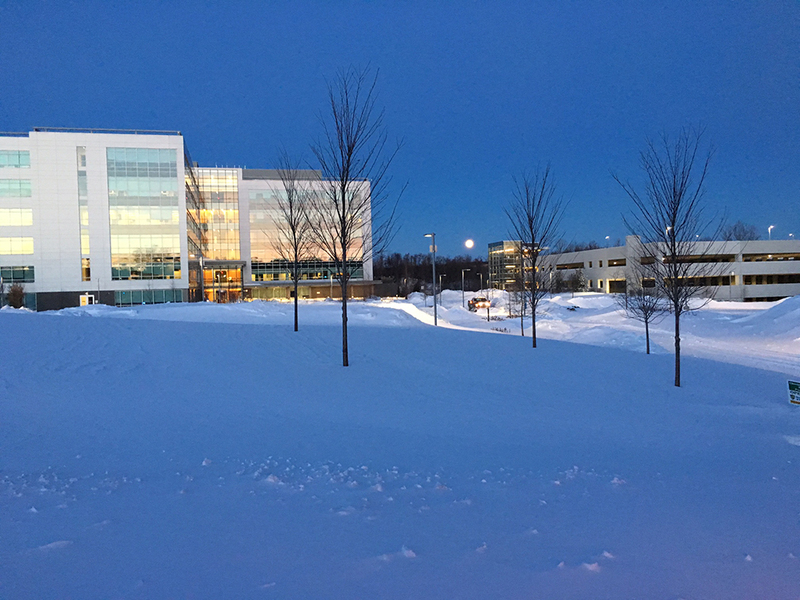 We are now 1,600 crew occupying four buildings and more than 324,000 square feet of office space. 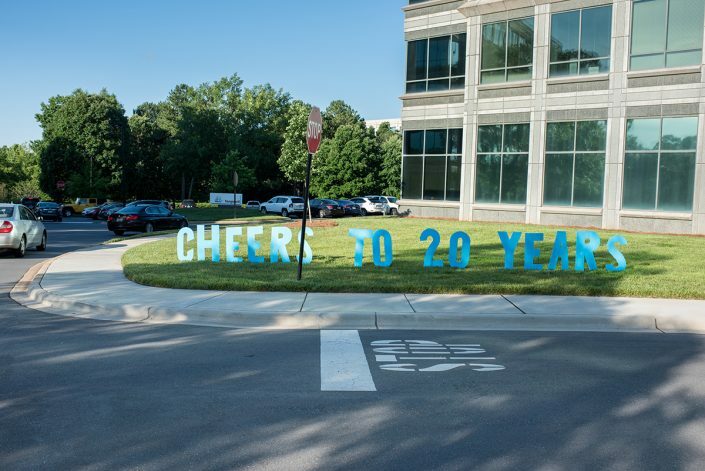 So much has changed in twenty years, yet the Charlotte office remains a unique and special place. It feels every bit a family, but stronger. Happy 20th anniversary, Vanguard Charlotte! 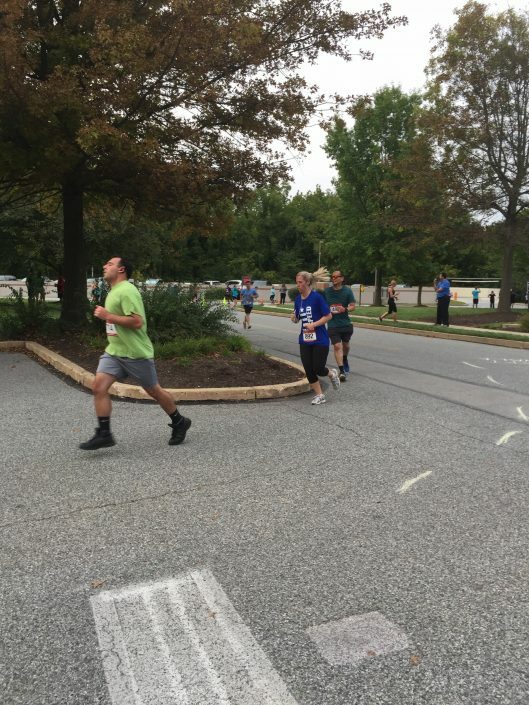 Runners, walkers, and wheelchair participants line up at the starting line. Some in teams with colorful shirts and creative team names, others participating on their own. Some will walk, some will run, some will wheel, and some will cheer. All will make a difference. 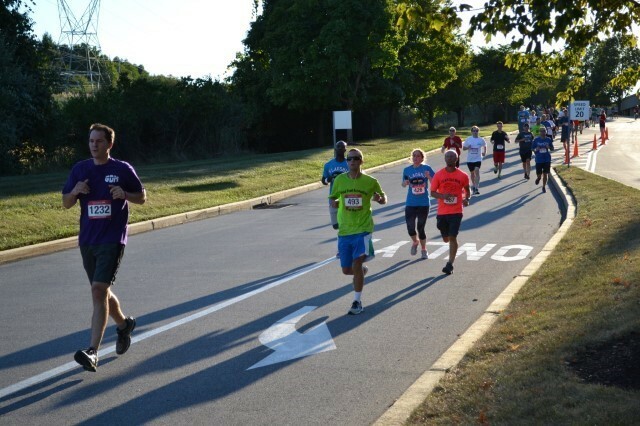 This September is Vanguard’s annual Vanguard Gives Back 2017 Campaign’s 5k run and 1-mile walk/wheelchair event. 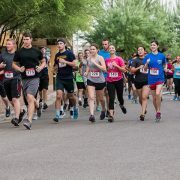 Held on September 9 in Arizona and September 11 in North Carolina and Pennsylvania, the event is part of a broader fundraising campaign that runs from September 11 through September 22. 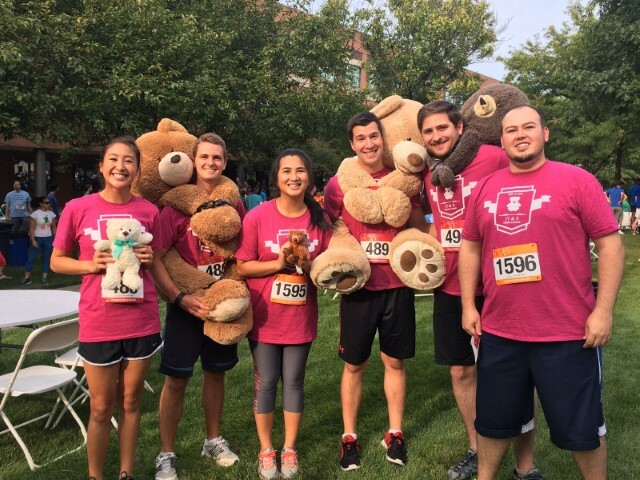 Crew also look forward to the friendly competition among 5k participants. Once again, awards will recognize top finishers, largest team, best costume, overall spirit, and more. 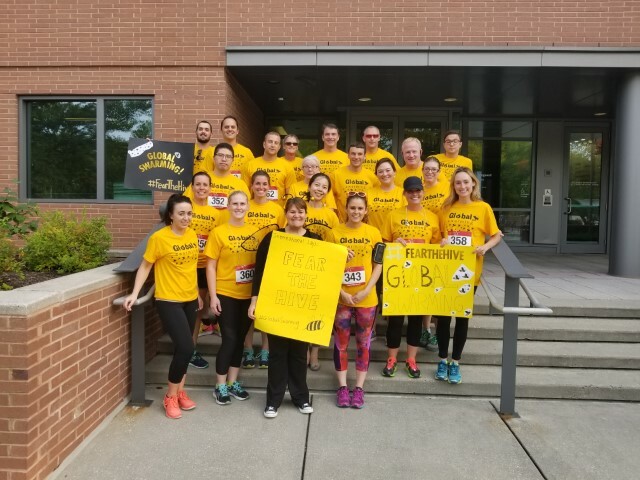 Why do we participate? For some it’s a way to bond with their team. For others, it’s to get their daily exercise or maintain fitness goals they’ve set for healthy living. But for many, it’s all about giving back. 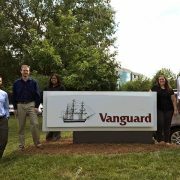 I heard about Vanguard through a career fair held by my department of studies at college last fall where I got the chance to meet some of my future coworkers. 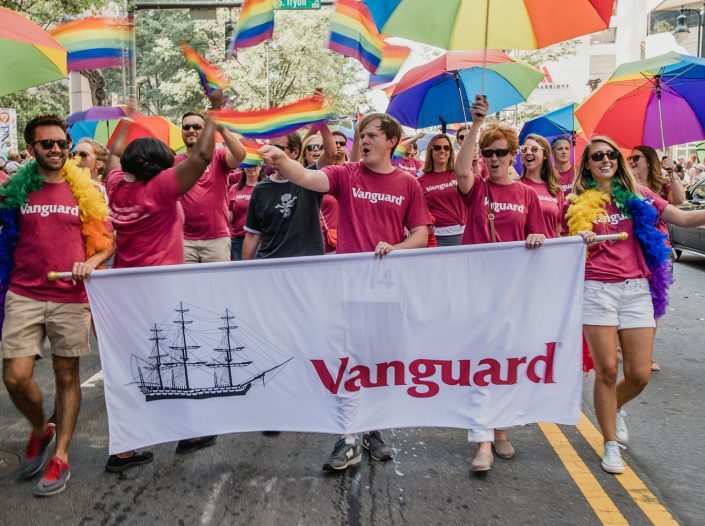 Like many students outside the business school, I did not know Vanguard existed, let alone that they are leaders in the financial industry. This stems from the fact that Vanguard spends very little on advertising; rather, they rely on referrals from satisfied investors. That knowledge alone tipped me off that Vanguard would offer a full and enriching internship experience. My path to Vanguard was unique from other interns. 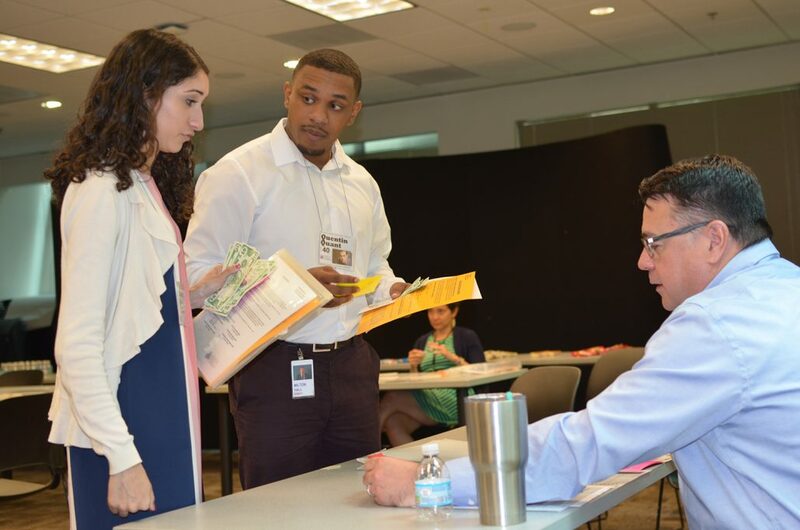 I first heard about the great opportunities here through an email from my school’s career services that talked about an IT Career Explore day at Vanguard (a day to learn about Vanguard and its work with technology). 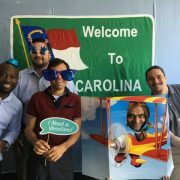 I attended this event in Charlotte, which in turn led me to apply for the internship and receive an offer for a phone interview. After this, I was invited to a day-long interview event at the Charlotte offices where I really realized that interning at Vanguard would be an amazing opportunity – and that realization has definitely turned out to be true! My search for an internship was definitely a process helped by the support of Vanguard representatives. My university held a career exposition on campus, where representatives from Vanguard attended. I noticed that everyone I spoke with from Vanguard were very approachable and welcoming, which immediately captured my attention and interest in learning more about the company and the opportunities they offered. After further connecting with a representative, she recommended I look into the C2C Internship program, which turned out to be the best decision yet! I first became aware of Vanguard during my sophomore year of college. A friend who works for Vanguard invited me to join him at a local Salvation Army on his “Volunteer Time Off” day. While serving the community, he told me about Vanguard’s investment strategy and team-oriented company culture. 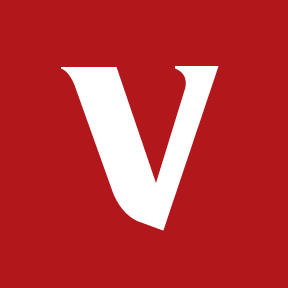 With further research, I became very attracted to Vanguard’s mission and excellent reputation within the industry. I wanted to work with a highly respected company that could help me grow professionally. Looking back, I can confidently say that I’ve realized that ambition! 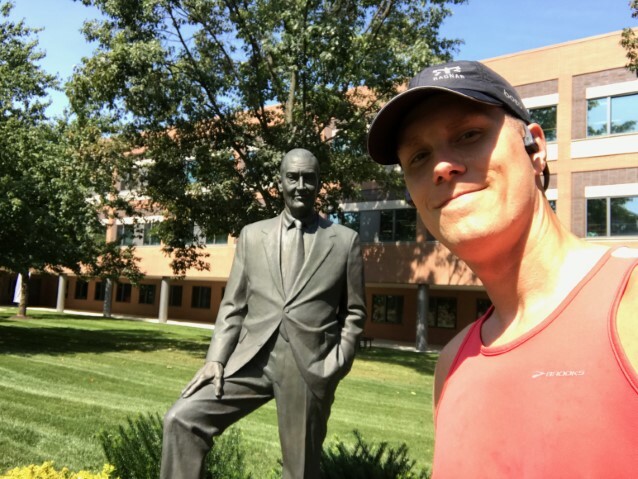 A friend of mine completed their internship at Vanguard and later joined full-time. After speaking with him, I learned a few things about Vanguard. 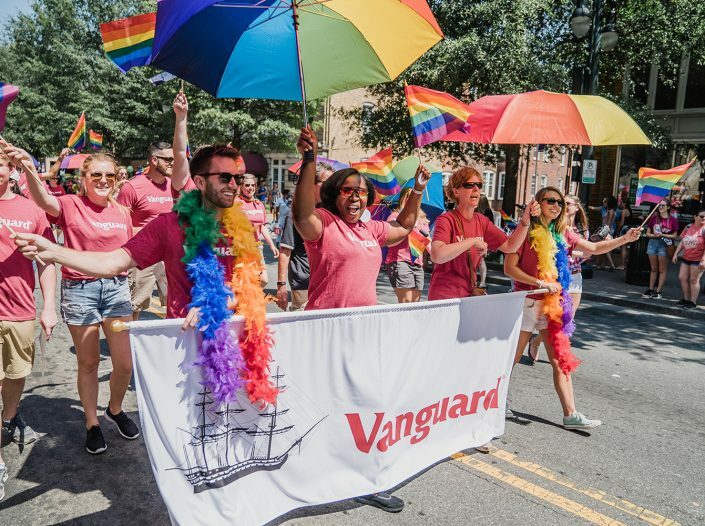 During the internship, it’s apparent that Vanguard cares about collaboration, fostering a positive work environment, having a real work experience, and providing great networking opportunities. 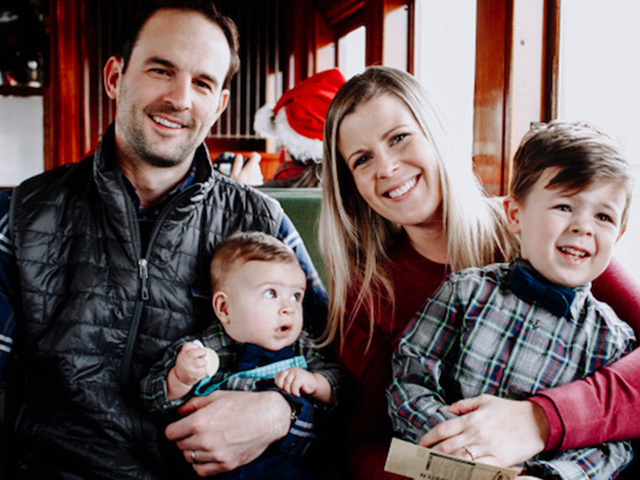 Work-life balance has always been a priority to me, which is difficult in the IT space, but Vanguard allows for both meaningful work and personal life. That means I can enjoy my work and the things I love outside of the office. After experiencing Vanguard for five weeks, I can confidently say that my internship has been a satisfying, enriching experience. My first interaction with Vanguard was at a university career fair. Later that fall, I was able to attend the Grace Hopper conference in Houston and I met more Vanguard representatives and interviewed for this internship. Vanguard’s commitment to adopting the best technology for its mission appealed to me, as well as the broad scope of projects they work on. My favorite part of the summer so far has been trying new technologies and roles as a part of my team.